Dealing with a breakup is hard, plain and simple. 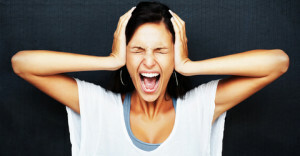 Every person handles their emotions in a unique way, and feeling anger, confusion or hopelessness is very common. However, if you have a strong desire to win your ex back, you need to overcome these “post-breakup” emotions and keep them in check. What are some of the best ways to numb the initial ache after a breakup? There are hundreds of ways to deal with pain and heartache, but you have to find what works for you. Here are a few suggestions. Don’t fight with your ex about the breakup. As hard as it seems, apologizing and begging your ex to take you back right away are not productive at all. You simply have to accept the way things are for now, and give each of you space to work through this time. Remove reminders of your ex. Take down photos; put away gifts and love notes and any other item that strongly reminds you of your ex. Don’t destroy or damage them because you may want them later after the pain in easier to deal with, but for now you don’t need constant reminders of what you have lost. Take strength from your friends. Being alone is never a good way to get over being dumped. Lean on friends and family to keep you company and help lift your spirits. Often, being social is the sure-fire best way to get through tough breakup. If your long term goal is not only to numb the initial breakup pain but to get back together with your ex, there are a couple of things that can help you with this. First of all, acknowledge that breaking up was a good idea. The most effective way of doing this is to simply state it outright or send your ex a written message explaining how you understand that a breakup might have been the best decision for both of you right now. It is important that once you make this statement to shut down lines of communication. Even if they reach out to you, you both need to take the time to reflect on what went wrong. This leads us to the next part: Make them miss you. By shutting avoiding communication with the ex, you are giving them an opportunity to miss you. Perhaps they have suggested that you stay at friends, often this is just a way to keep you in their lives so that they don’t have to go through not seeing you. This isn’t healthy for either of you; back up and give them an opportunity to see what they’ve lost. Finally, don’t waste your time being hopeless and helpless; be productive and proactive. For some this will be as simple as staying in and getting projects completed that you haven’t had time to finish. For others, this can be returning to your social circle of friends and going out. Whatever you do —DO IT! Sometimes the best way to numb the pain of a breakup is to keep busy.